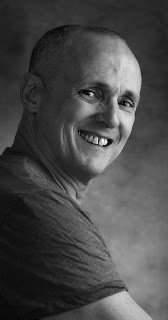 Brian Webb, artistic director of the Canada Dance Festival (CDF), announced in January that he will be completing his tenure in October 2011. Webb has been at the helm of the festival since 2001 where his programming has contributed to greater diversity and new audience development. Among his achievements was the conception and presentation of “Hip Hop 360” and “Dancing Through Cultures”, two of the most successful programs in the festival’s history. "CDF has opted to view Brian’s departure as an opportunity to thoughtfully review our past and plan for our future," CDF Chair Pamela Fralick told The Dance Current. With the help of an independent, external consultant, the board is seeking input from the Canadian dance community about their expectations for a renewed CDF. The results of this research will inform the creation of a new vision for the festival and a strategic plan for CDF's future. The board hopes to launch the search for a new artistic director in August. In the meantime, the 2011 festival lineup is set to be announced in the coming weeks. This year's festival will take place June 15th through 18th in Ottawa.